Our concept prevents distractions and interruptions while reducing stress, anxiety, and intimidation for someone new to the world of fitness. Friendly, professional staff specializes in making your experience fun and enjoyable while elevating the mind and body to their very best. 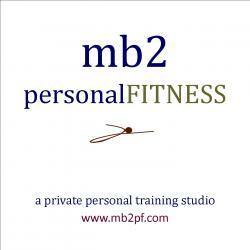 At MB2 our fitness professionals have been fortunate to work with a wide variety of clientele: adolescents to the senior population; from the novice interested in making a positive body composition change as well as the athlete competing in a team or individual sport.